The U.S. Green Building Council-Illinois (USGBC-Illinois) will acknowledge several outstanding leaders and stand-out buildings that have helped to position Illinois as a national leader in sustainability at the 11th annual Emerald Awards ceremony June 23 at the Chicago Cultural Center its annual Limelight event. The Emerald Awards program is a showcase of the best and brightest contributors to a more sustainable built environment by recognizing outstanding individuals, organizations, projects and technologies. Michelle Halle Stern, president of the Green Facilitator, will be honored with the Intent to Matter: Individual Leadership award for her distinctive career in advancing green buildings with both seminal green building projects around Chicago and her pioneering approach to training and leadership in the architectural field. 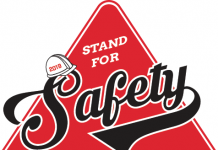 Leopardo Companies, Inc., based in Hoffman Estates, will be recognized with the Intent to Matter: Outstanding Organization award. Leopardo’s long-standing dedication to green building and continuous innovative efforts in shrinking the footprint of construction-related impacts on the environment includes a unique partnership with the Environmental Law and Policy Center and Respiratory Health Association that helped advance one of the first low-emitting projects in the Chicagoland area. Three recently completed projects will be recognized with an Emerald Award for Green Building Innovation. These include the newly restored Chicago Motor Club building, a striking example of integrating state of the art environmentally sustainable technologies within the context of a historic preservation project; The Additive Manufacturing Integrated Energy (AMIE) demonstration project that underscores the high performance possibilities of new technologies and materials combined with building design and integrated-systems innovation; and the Chicago Public Library Chinatown Branch, a new civic, educational and social hub that leverages sustainable design as a support for the neighborhood. This year, the Chapter Mission Award will be presented to an individual and an organization that reflect USGBC-Illinois’ new focus to implement carbon drawdown strategies in Chicago neighborhoods that improve the health, economy and social well-being of residents. Arathi Gowda, leader of SOM Chicago’s elite Performative Design Group, will be honored with the individual Chapter Mission Award. Her role as an educator, practitioner and advocate in the field of planning and architecture have helped to advance the role sustainable infrastructure can play in strengthening neighborhoods. Chicago-based United Airlines will be recognized with the organization Chapter Mission award for their decades-long commitment to sustainability. Earlier this year, United Airlines made history by becoming the first U.S. airline to begin use of commercial-scale volumes of sustainable aviation biofuel for regularly scheduled flights from Los Angeles (LAX). United has improved fuel efficiency by over 33% since 1994 and incorporated green building standards for its facilities including their corporate headquarters and O’Hare airport cargo facility in Chicago and their suburban Chicago data center. 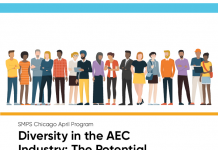 The commitments they are making in Chicago to reduce their environmental footprint have global implications for reducing carbon emissions and setting an example for other large organizations to take action. 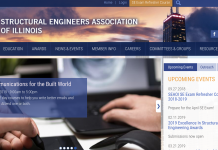 Earlier this year Illinois was recognized for the third year in a row for the top state for LEED projects. At this year’s awards ceremony, USGBC-Illinois will introduce plans to build on this success and go even further with ‘no regrets’ sustainability strategies that will impact more buildings and communities that have yet to be impacted by the green building movement. The public is invited to celebrate these sustainability leaders at Limelight on June 23rd, 2016 at the Chicago Cultural Center at 78 E. Washington Street. Tickets to the event and presentation of the Emerald Awards are available online. 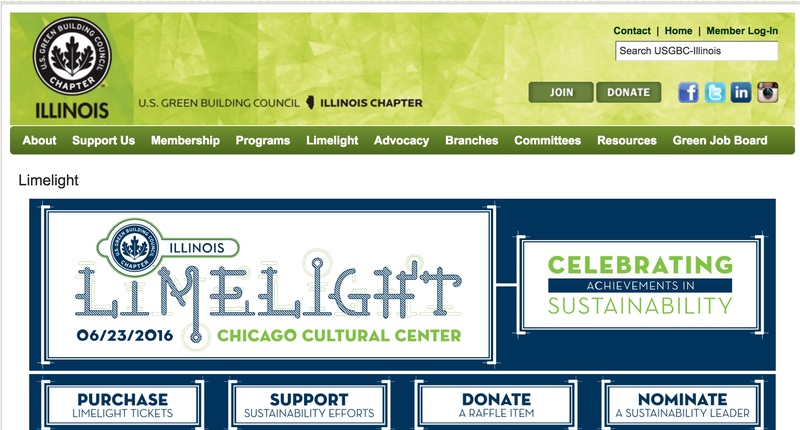 For more information regarding Limelight, contact Joan Martin at (312) 245-8300 ext 205 or visit www.usgbc-illinois.org.